Can Magic The Gathering Arena dethrone Hearthstone as king of online card games? In 1993, a game was released that would change the world of collectable card games forever. Magic: The Gathering (MTG) would grow to be by far the most popular collectable card game of all time, establishing itself as the gold standard by which all other card games would be judged. With a player base that was estimated to include over 20 million players worldwide, MTG became a global phenomenon and the must-play collectable card game. As technology developed, the world of card games would slowly begin to shift. While a massive success in the world of physical card games, MTG had failed to establish itself as a strong online offering. Instead, Blizzard’s Hearthstone would emerge as the clear frontrunner in the world of online card games. Easy to pick up for new players and complicated enough to hold the attention of more experienced gamers, Hearthstone would grow to massively overshadow any of its online competitors. Building on its early success, Hearthstone would branch out to offer a mobile version of the game, enticing a wider audience and cementing itself as the go-to card game for many gamers. With over 70 million registered users, Hearthstone currently stands strikingly alone at the top. Although multiple titles have been released since the arrival of Hearthstone, they have all failed to dethrone the game as the King of online card games. Yet, with the release of MTG Arena, Hearthstone may finally have a worthy opponent to challenge for the top. Featuring an intuitive and user-friendly interface, the MTG Arena client is polished and visually appealing. While the tutorial seamlessly eases new players into the game, the client still allows for the complex interactions veterans of the game have grown to love. 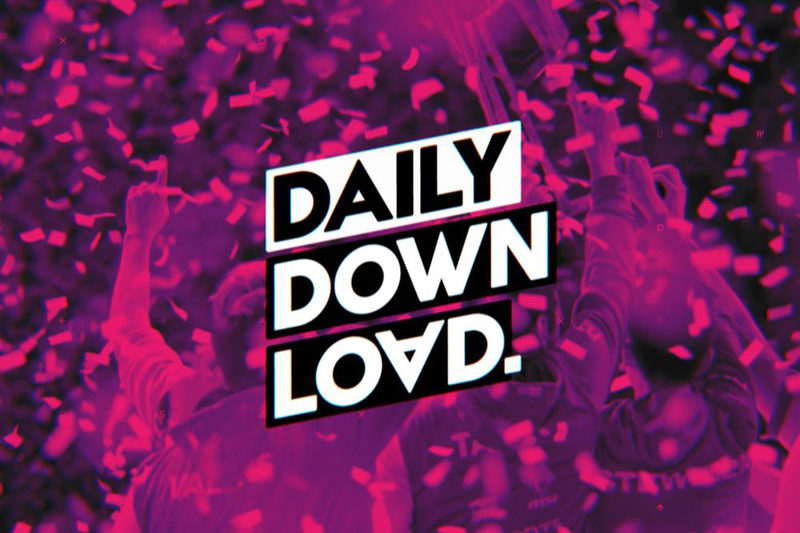 While the game is still in Open Beta, it has already shown dramatic success among online card games, finding itself easily the second most watched card game on the streaming platform Twitch.TV and frequently challenging Hearthstone for the top spot. Part of MTG Arena’s early success can be attributed to the brilliance and breadth of their early marketing efforts. 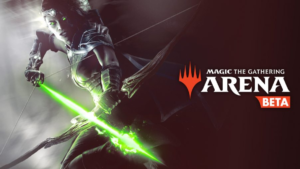 Quick to connect with fans through Twitch, MTG Arena has partnered with multiple popular streamers including Sean “Day9” Plott and Gaby “GabySpartz” Spartz to bring the game to a substantial audience. 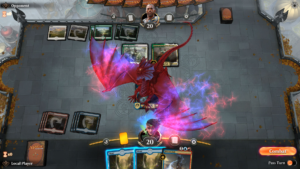 By sponsoring gameplay, hosting streamer designed events in-client, and providing decks for streamers to giveaway on their stream, MTG Arena has placed their game at the forefront of online card games. The release of MTG Arena has also inadvertently drawn multiple former MTG Pros away from other titles to the game, shrinking the number of dedicated Hearthstone streamers and proving more exposure for MTG Arena. Prior to this, it was clear Hearthstone was the correct path for any card game professional to take if they wanted to make an online career in a game, but MTG Arena may now provide another option, especially for those players who grew up playing the physical card game. Despite the early success of the game, MTG Arena should continue to press their momentum and learn from the mistakes of other online card games before them. The fact that MTG has been around for over 25 years now has allowed them to fix many of their gameplay issues already, but MTG Arena will need to implement many of the social features that attract and sustain a long-lasting player base. The ability to set up custom matches or tournaments will be critical to its success, and should soon be added to the game. As MTG themselves highlight on their homepage, they are a social game where playing with friends or creating new friendships is part of the appeal. In addition, the early success of MTG Arena should incentivise developers to move forward on a mobile version of the game, challenging Hearthstone who currently has a monopoly on the mobile market. 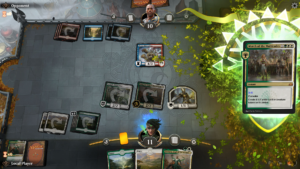 MTG Arena is also uniquely positioned to blend physical gameplay with an online experience. While Hearthstone has consistently struggled to build face-to-face interactions surrounding the game, implementing a mobile option would allow players to bring MTG Arena with them to the already established organised tournaments or weekly meetups. From an esports perspective, MTG Arena is in a prime position to emerge as the leading game for professional players. With gameplay that rewards high skill players and limits RNG, professionals are able to truly distinguish themselves within a match. The presence of a sideboard that allows players to refine their deck for different match-ups also allows them to show off their adaptability and creativity in developing their decks. Although MTG Arena has a unique opportunity to assert itself in the world of online card games, there will still be many challenges ahead. No other physical game has been able to successfully transition to an online card game, and Hearthstone’s player base still dramatically overshadows that of MTG. And while the complexity of MTG may appeal to many of the more dedicated card game players, the ease in which players are able to pick up Hearthstone makes it a more attractive option for new or casual players. While other games have failed to loosen Hearthstone’s grip on the online card gaming community, MTG Arena should be the first true challenger to Hearthstone’s place at the top. With gameplay that has continued to attract new and experienced card game players for years and a large established player base, MTG has a foundation for success that no other online card game ever has.